Aunts Polly and Ester teamed up to make these pumpkins. Here’s what happened. I was given some fabulous vintage paisley fabric with moth holes in it. The texture was polyester. I cut out some different size circles using whatever circle shape bowls or platters I could find. Next thread a needle with a long piece of thread and tie into a double strand. Place the fabric with the outside pattern down. 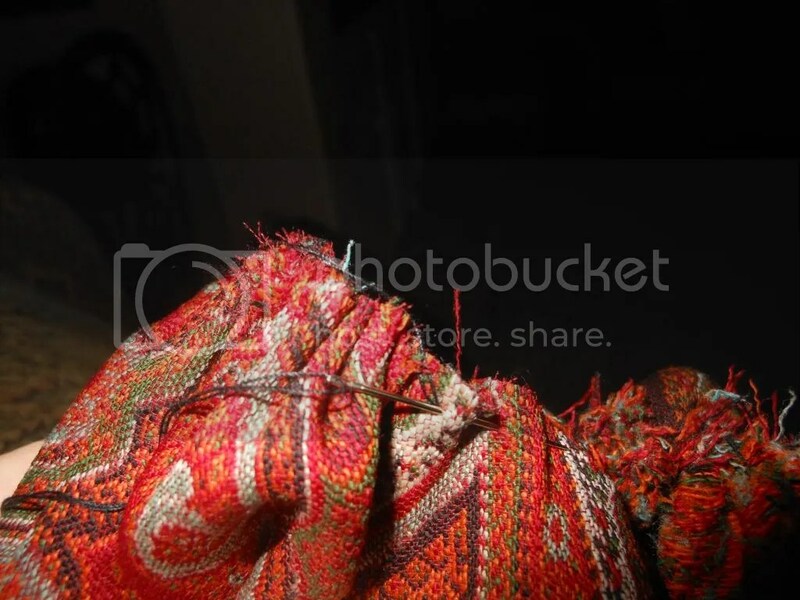 Begin loading your needle with the fabric as shown in the picture below. Pull through and start anew, gathering all the way around, and to complete the circle. Once you have finished the circle, stuff with beans or pillow filler from a craft store. Take your needle and thread and stitch the sides together to close the center. Then glue your left over pumpkin stem or find an artificial stem from the craft store. 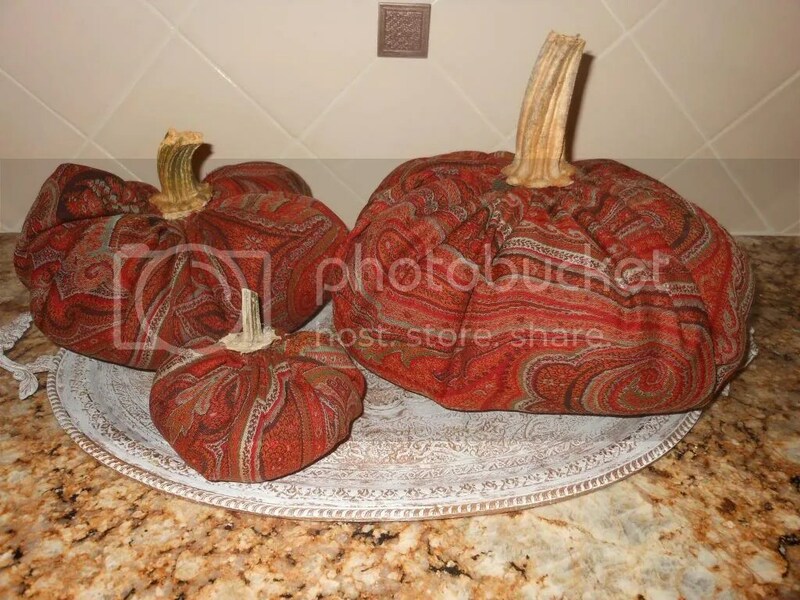 Aunt Polly and Aunt Ester make fabulous fabric pumpkins. Dear Bacon, You are hilarious and witty beyond measure. I am so delighted that you stopped by to check our the pumpkins. I think your Mommy must be very creative and quite capable of sewing. If this lefthanded, red headed Irish girl can – Mommy can too! Keep writing Bacon. We need your humor in this world.